Pre-register for National Seminar 2019 by October 1 with a $125 deposit and secure a registration fee of $350. 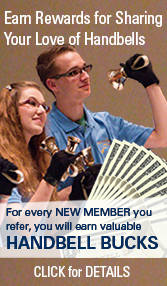 Meet us in St. Louis at the Hyatt Regency St. Louis at the Arch, July 16-20 and enjoy informative classes, inspiring performances, professional networking opportunities, eclectic and varied Handbell Industry Council Exhibits, and much more at this event for handbell musicians of all levels. 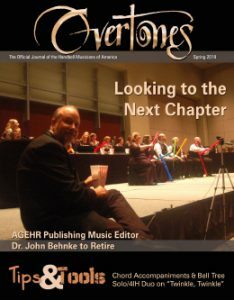 National Seminar offers something for everyone and is a must for ringers, directors, educators, church musicians, community ensembles, composers, and industry representatives. Those who opt for pre-registration will have the chance to register for the full event classes and tracks before everyone else. Full event registration will be available February 15, 2019. Pre-registration requires a $125 deposit which will be applied to your final registration fee. All but $25 is refundable if cancelled before March 15, 2019, and before you complete full event registration. If you cancel after completing full registration, the full event cancellation policy will apply. Pre-registrants must complete full registration by May 1, 2019, to receive the discounted rate. Registration completed after May 1 will be charged the non-discounted registration fee.